Founder of the online yoga studies program Deeper Practice and the non-profit Return Yoga, Karin Lynn Carlson has brought yoga out of the studio to at risk populations for nearly ten years. There is nothing quite like intensive study of this practice. It ends up being intensive study of the self. We leave, feeling more like ourselves. While most of our practice over the years will be alone, at home, or in classes, every once in a while deeper study, community, and connection with a teacher infuse your heart. This means you'll continually have something to grow, with. Your life unfolds in the context of an ever widening, ever deepening path. Karin has designed her 200 hr Yoga Alliance accredited training program to four intensive workshops. They are offered at least once annually. You do not need to be a yoga teacher or desire to be a teacher to attend. I think that personal interest is one of the best teachers, and personal direction is more important than checking off boxes or memorization, so personal adaptation and study are part of the deal. These may add up to RYT certification, used for Continuing Education credits, or taken as stand alone experiences. 2019 sessions will be held at Sacred Space Studio in Northeast Minneapolis, MN. Sessions run M-F 9 am to 5 pm, with a long lunch break. Each session costs $800, and must be paid in full prior to the start date. No refunds are available after the program begins. In this intensive we'll look at the foundations of practice and teaching yoga. "Foundation" and stability are key concepts in yoga, both from the standpoint of the anatomical body and the philosophical mind. 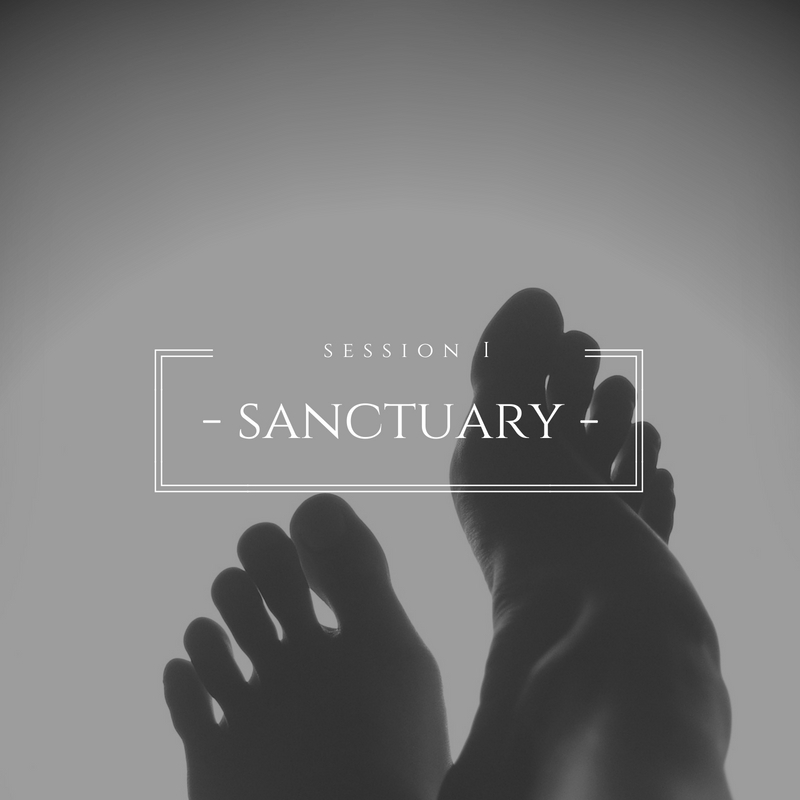 We'll look at the foundations of yoga practice, with an emphasis on how the feet are the 'gateway' to the temple of the body, and sanctuary is the gateway to personal transformation. We'll take a very close and personal look into how yoga practice transforms, how to protect and cultivate your own transformation, and how to lead transformational classes. Karin is known for her modern day relevance teaching, the way in which she bridges the gap between traditional teachings and the complexities of modern life. This comes to the fore in this session as we talk about trauma informed teaching, moving away from 'posing' and into 'practice', boundaries and personal development. We'll look closely at 'hype' and 'yoga', and the difference between. We focus our own practice and our teaching on stable principals, directly from the yama and niyama traditional teaching. We'll explore yoga as 'therapy', get familiar with the concepts of steadiness and ease, practice and surrender, and the basics of yoga philosophy. Asana work will work with foundational postures and sequences, including standing postures, sun salutations, hip flexibility and stability. We'll continue to work with tradition with a closer look at personal observance (yama) and personal practice/lifestyle. Often considered the central energetic pathway of the body and ‘the most important’ anatomical structure, the spine rides the current between structure and fluidity, matter and energy, steadiness and ease. The spine mitigates the space between the nervous system, the mind, and the flesh. As such, reflecting on the spine and the breath provide an embodied understanding of mindfulness and yogic concepts. We'll look into the physiology of breathing, the teaching of pranayama and bandha, and the mysterious interface of somatic work and psychological change. This is the doorway to yoga's 'subtle body' of chakras, kosha, nadis. We'll look at the story of subtle body, the story of western anatomy, and the resonance of bones. Asana work will explore the five movements of the spine, including paschimatana (forward fold), purvatana (back bending), parivrtti (rotation), parsva (asymmetric and lateral bending), extension and viparita (inversion). We''ll continue to work with tradition with a closer look at personal observance (yama) and personal practice/lifestyle. This session explores the muscle and fascial network of asana, developing further our ability to feel and teach to deep body rather than superficial poses. "Core", "psoas" and "upper body strength" will all be explored in depth, as will the working of myofascial sheaths of the body. We'll start to read bodies. Concepts of flexibility, strength, restorative postures, fitness, and adaptation will be covered. We'll also explore how the brain and the body communicate, how the nervous system affects bodily tissue, balancing the nervous system and the goal of our practice. We'll look at 'surrender' and 'letting go' from the standpoint of relationship and niyama. We'll explore the ways in which we cannot separate our own practice from the way practice unfolds in our world, off the mat. Sacred Anatomy refers to the way in which yoga reveals our bodies are scripture, our own experience is the route to 'enlightenment', and the deepest felt sensations and revelations as being born in the flesh. All sessions work with sacred anatomy; here we see how the foundations and roots of practice support the divine capacity within us. This session is an in-depth study of the upper trunk including the sternum, shoulders, arms, brachial plexus, heart/lung and carpal tunnel. Asana sequences emphasize shoulder stability/mobility, including shoulder therapeutics and arm balances. Much time is devoted to the shoulder girdle and practicing poses that serve to align the shoulders and reduce strain and stabilize the rotator cuff area. Theory will work to bridge the daunting gap between ancient practice and modern lives, and theory and practice, as we deep dive into body as the source of both wisdom and suffering, trauma and healing. We'll get more adept at working with physical and psychological trauma, explore yoga's modern day relevance, and articulate our own path. The heart, the soul, the person is the focus of this session, and the mysterious way it both is and is not to be found in the anatomical body.